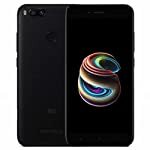 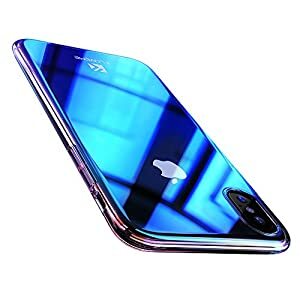 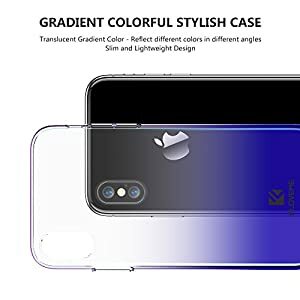 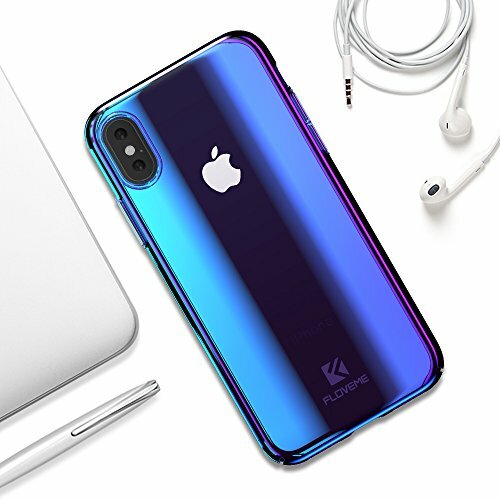 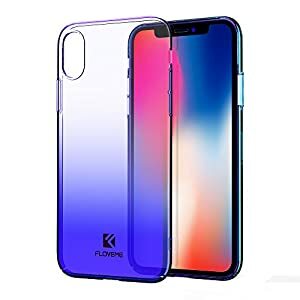 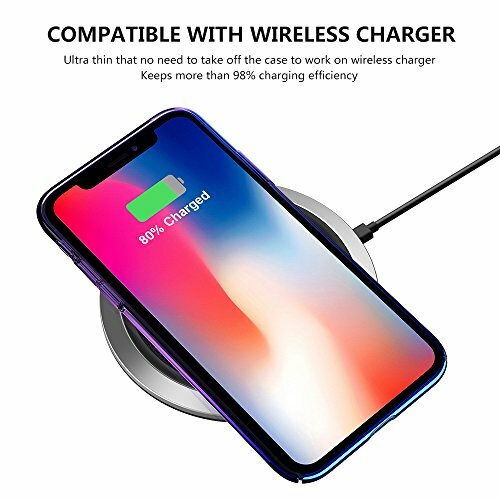 Wireless Charger iPhone X Case, FLOVEME Luxury Slim Fit Gradual Colorful Gradient Change Color Ultra Thin Lightweight Electroplating Bumper Anti-Drop Clear Hard Back Cover Holder – Be Mobile with BMOB.com! DOUBLE COLORS TECHNOLOGY – The combine technology of gradual change and optical plating, as the shinning case, one angle one color. 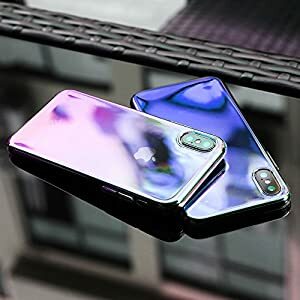 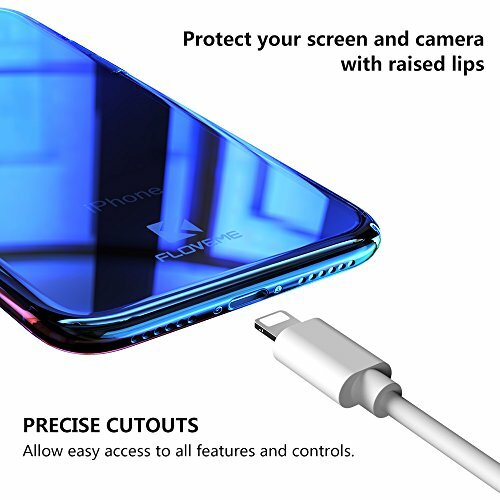 PERFECT CUTOUTS – Specially designed for Apple iPhone X, the case has precise cutouts for speakers, charging ports, audio ports and buttons. 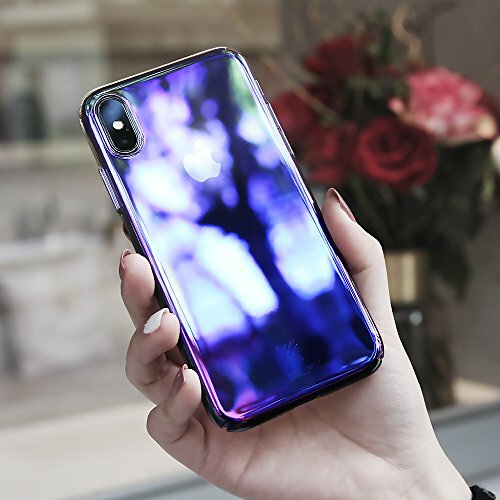 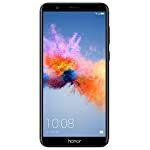 PREMIUM MATERIAL- Made of high quality Plating Frame with PC material, durable to use and touch feeling good. 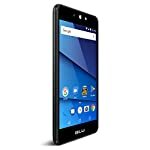 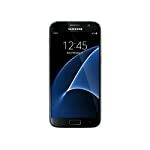 Protects your phone back and frame from fingerprints, scratches, dusts, collisions and abrasion. 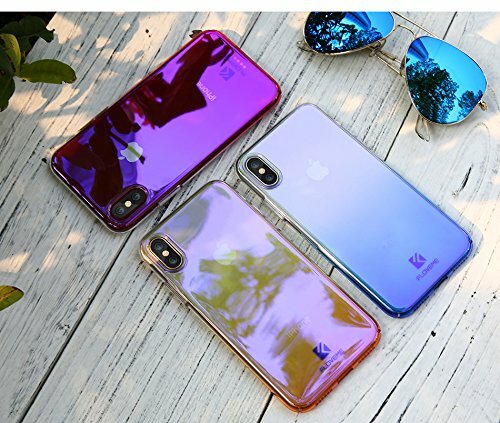 SLIM & SMOOTH – With Slim, light and comfortable protection without adding any bulky look to the phone. SIMPLE STRUCTURE – Easy to install and offering full protect for anti scratch, shockproof and dirt proof.